The ongoing crisis in the eastern Democratic Republic of Congo, where up to 6 million excess deaths have been recorded since 1998 and government neither controls nor governs its territory in a meaningful sense, is cause for concern to the international community and the United States government. The D.R. Congo is home to more than 60 million people who have suffered profoundly as a result of their state’s collapse and a series of local, national, and international conflicts that began in the early 1990’s and some of which continue until today. In the aftermath of the contentious and contested November 2011 elections, DRC’s future stability and ability to develop are both in question. In the United States, the issue of conflict minerals has become one of the dominant narratives about the crisis. As Autesserre notes, however, the overwhelming focus on conflict minerals as a cause of conflict in the D.R. Congo has perverse consequences that actually prevent international and local actors from developing a comprehensive solution to the country’s conflicts. Moreover, Western advocacy efforts on conflict minerals have thus far made life more difficult for many Congolese while failing to stop the violence they purport to address. Instead, these efforts have thus far increased smuggling, led armed groups to seek other sources of revenue, and left up to 2 million Congolese artisanal miners out of work. Good intentions and the belief that attacking the perceived economic roots of conflict was a path to peace have largely proved ineffective. Efforts to pass legislation on conflict minerals in the D.R. Congo were based on the mistaken assumption that because the mineral trade is one dynamic in some of the region’s conflicts, this means that minerals cause conflict. This underlying belief can be seen in a number of early advocacy efforts such as Enough’s April 2009 strategy paper, “Can You Hear Congo Now?” As criticism of this claim mounted, advocates moderated their language to refer to conflict minerals as a “key driver” of conflict in the eastern D.R. Congo. However, this claim is also misleading. If minerals cause or drive conflict in a failed state, then we would expect to see most, if not all, of the Congolese mineral trade to be militarized and/or the object of competition between armed groups. This is far from true, however. The mines of Kasai and central Katanga are completely free of violence, as are many mines in the heart of the conflict regions in North and South Kivu and Ituri. Another dynamic is at work in the Kivus, and it has very little to do with the mineral trade, but is instead about the state’s weakness and local disputes over land and citizenship rights. The militarized mineral trade is much more a symptom of the Congolese state’s weakness and inability to govern than it is its cause. In other words, Congolese armed groups don’t fight because they have access to mineral wealth. The logic behind focusing on the mineral trade as a way to slow violence in the eastern D.R. Congo is as follows: 1. Armed groups maintain control of mines so that they can earn money to fuel their activities. 2. If international and local actors cut off armed groups’ access to mineral wealth by implementing traceability schemes and responsible sourcing mechanisms, armed groups will no longer be able to earn as much money. 3. Therefore, the ability of armed groups to fight and/or terrorize Congolese civilians will be diminished. While this logic sounds good on paper, it is based on a misperception of what motivates Congolese armed groups and what they do with the money they earn from the mines. There is little reason to believe that Congolese armed groups use the bulk of the money they earn from the mineral trade to buy weapons and ammunition. The eastern D.R. Congo is saturated with weapons; few soldiers need to buy new ones, and those that are for sale are extremely inexpensive and readily available in local markets. Instead, most of the money earned by armed groups from the mineral trade is used to pay salaries, buy food, and provide other basic necessities to fighters and their families. Most Congolese armed groups are not motivated to fight by the mineral trade or for access to the mines; instead, their violent behavior stems from anger over inequality, ideological issues, and/or because there are no constraints on such activities in the eastern D.R. Congo. As Séverine Autesserre notes, despite the international community’s overwhelming focus on conflict minerals, only about 8% of Congolese conflicts are over natural resources. Second, even if armed groups do depend on the mineral trade to finance their activities, most can draw upon other reliable sources of revenue. As Vlassenroot and Adam have shown, Congolese civilians face an enormous burden from informal taxation schemes, many of which are carried out by armed groups. Reliance on the mineral trade varies widely among Congolese armed groups, with the FDLR earning as much as 75% of its revenue from the mineral trade (mostly from gold), while others like the CNDP earn significantly less. In addition to the mineral trade, Congolese armed groups rely on taxation of citizens under their control, of revenues collected at roadblocks, and on trade in other commodities like charcoal, timber, and bananas. As access to mineral wealth has been limited, Congolese armed groups have turned to other forms of revenue extraction with little effect on their violent behavior. Dr. Laura Seay is Assistant Professor of Political Science, Morehouse College. 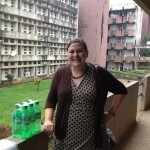 She blogs at http://texasinafrica.blogspot.com/ and is on Twitter @texasinafrica. Portions of the content of this essay were previously published as a working paper for the Center for Global Development. Séverine Autesserre, “Dangerous Tales: Dominant Narratives on the Congo and their Unintended Consequences.” African Affairs (January 2012). Séverine Autesserre, “Dangerous Tales: Dominant Narratives on the Congo and their Unintended Consequences.” African Affairs (Forthcoming 2012), p. 8. Jeroen Adam and Koen Vlassenroot, “‘La Fiscalité de Poche’: The politics of taxation in Eastern DR Congo.” Conference Paper. Presented at the annual meeting of the African Studies Association (November 2010). FYI, according to the CIA Factbook, the DRC is home to 75,507,308 (July 2013 est.. If I may ask, what is your source for the argument that Western advocacy efforts on conflict minerals have “[…] left up to 2 million Congolese artisanal miners out of work”? Do you argue that they are now completely out of work or did they move into another sector, e.g. agriculture, and resumed work? Are they now maybe better off? Thank you once again for your piece. On the source about the 2 million artisanal miners out of work, that’s a claim from a Congolese civil society leader working on the mineral sector (with miners) made at a Great Lakes Policy Forum meeting in October 2011.This estimate may be on the high end, but it has definitely harmed tens if not hundreds of thousands of Congolese. Some have moved to other sectors, others are still out of work. Many miners have since moved into the gold mines, which are totally unregulated, thus contributing to the problem even more.